Prominent & Leading Manufacturer and Supplier from Coimbatore, we offer Instrumentation Control Equipments such as Speed Controllers, Variable Speed Drives, PLC Based Systems, PLC System, Automatic Assembly System, Variable Speed Numbering Barcoding Controllers and UV Coating Drier Controllers. Leveraging upon our experienced team of professionals, we are able to manufacture and supply Variable Speed Drives. These speed drives are highly reckoned in market due to their high torque control & low surge voltage. Our provided speed drives are used for controlling the voltage and frequency supplied to electric motors. Besides this, offer offered speed drives are available in varied specifications to our customers according to their requirements. In order to cater the variegated demands of our prestigious clients, we have come up with a wide range of Speed Drive Controllers. These speed drive controllers are used by our clients for regulating the speed of the vehicle by controlling the fuel injection. Offered speed drive controllers play a vital role in diverse automation industries. Our speed drive controllers are stringently checked on industry defined quality parameters in order to assure its flawlessness. H.R.C. Fuses for capacitor steps with fuse failure indication. 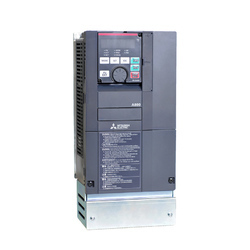 Vacuum contactor or SF6 circuit breaker. Inrush current limiting reactor (inductor). H.V. Capacitor units of a single phase or three phase AB LIFASA with internal element fuses. 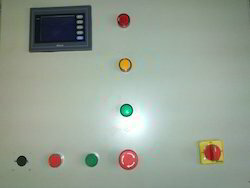 Control box with power factor controller and indications. 50 kva to any rating as per the requirement of customer. 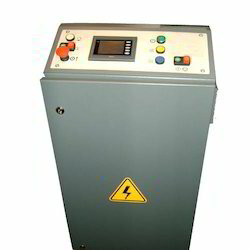 Voltage rating up to 36 kva. With vast knowledge and experience available in Printronics, we are capable of working out a technically and economically viable power factor solution for each type of installation. The NAAC 3P Controller is for compensation of Balanced and Unbalanced loads. It is an ultimate solution for Compensation of Unbalanced Load. 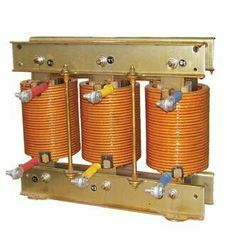 The compensation is realized by measuring the reactive power of the system through 3 current transformers from 3 phase. This series is a unique selection for Unbalanced load compensation. Programmable THD (Total Harmonic Distortion) protection. Automatic calculation of power values for each capacitors step. Providing minimum switching steps for maximum service life time. The connection of single phase & 3 phase capacitor steps at the same time. Compensation of each phase separately for unbalanced loads. We are counted amongst the foremost manufacturers and suppliers of a broad range of PLC Based Control Systems that can also be used as data logging systems. The offered systems are used as material handling systems. Offered systems are comes with integrated Ethernet facility for covering low end applications. 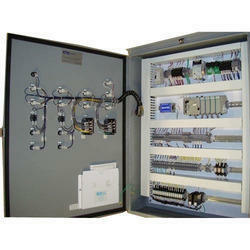 Customers can purchase these systems from us in quality packing at industry leading rates within a promised time frame. With the help of our professionals, we have been able to offer our clients qualitative range of Programmable Logic Controller System. These systems are used in different machines and equipment in order to regulate and maintain their flow. Offered systems are available on diverse specifications according to the needs of customers. The provided systems are demanded in the industry owing to their easy control & effective performance. We are the leading brand in the market to provide our renowned clients with the best range of Variable Speed Numbering Barcoding Controllers. As per the set norms of the industry, these controllers are developed with precision from high quality of components & leading technology. Offered controllers are available on diverse specifications according to the needs of customers. 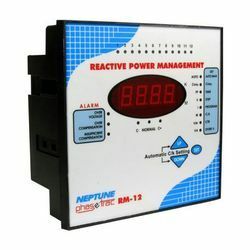 The provided controllers are functionally efficient in nature and are utilized in different industrial applications. 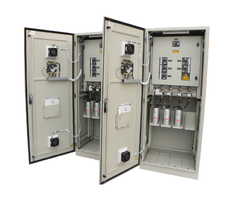 The T-AHPFC panel is an integration of CRCA Ms Sheet enclosure with powder coated, fully wired with self-healing MPP capacitor & Reactor, capacitor duty contactor, fan, APFCR, all switchgear, with IP protection busbar AL/CU with IEC STD.